THE NO. 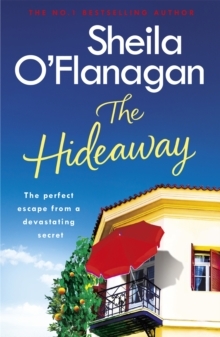 1 BESTSELLERThe breathtaking novel from Sunday Times bestselling Sheila O'Flanagan, author of THE MISSING WIFE and WHAT HAPPENED THAT NIGHT. Perfect for readers of Catherine Alliott and Marian Keyes. What would you do if you discovered you were living a lie?When a shocking news report shatters Juno Ryan's world, she suddenly finds herself without the man she loves - and with no way of getting the answers she needs. Juno flees to the enchanting Villa Naranja in Spain. The blue skies and orange groves - along with Pep, the local winemaker's handsome son - begin to soothe her broken heart. But just when she begins to feel whole again, another bombshell drops. Juno might have run away from her secrets, but the past isn't finished with her... 'The sultry Spanish location is wonderfully escapist ... a captivating, sun-soaked read' Daily Express'If you're seeking an escape of your own, this sunny, evocative story is the perfect place to hide away' S Magazine'A feel-good story told by a funny and down-to-earth heroine' Woman'A hugely enjoyable romance, written with pace and heart.